The last leg of the Safeguard/2XU Sole Racing International Half Marathon was held last October 27 at Nuvali. This newest addition to the Run Rio line up is also composed of the first leg on April and the second leg on August. Once again, I am honored to invited to this event. 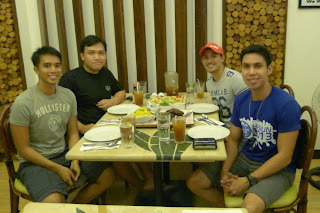 Since this leg's venue is in Nuvali, Noel, Rolly, CJ and I decided to spend the night in Sta. Rosa instead of travelling in the wee hours of the night to arrive in the race venue. We avoided that stress and was well rested in our hotel. We even had the luxury of celebrating Rolly's bday at Solenad. In terms of training, I am out of it. After finishing the Run United Philippine Marathon a few weeks ago, all the training I did was a short holiday run. 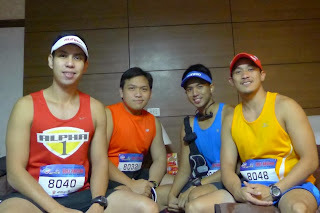 I even skipped one of the most memorable race of the year, Rexona Run 'coz I choose to sleep and be rested. We were up before the 3am assembly at the football field area in Nuvali. It was easy to find a parking spot and we were off to the starting line after we spotted our other blogger friends. 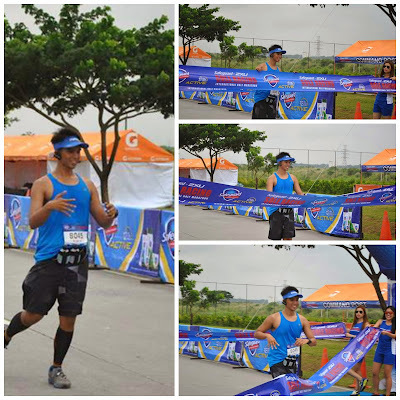 Running in Nuvali was a delight as I get to remember one of the most memorable races in my life, my first marathon. At the first three kilometers, all I could remember was running TBRDM. I remember the worry I was feeling and getting over that feeling as I finished. I remember that there was a pitstop in that area. I remembered worrying since I did too much running at the endless downhill. I remember when Coach Lit suggested we walk in uphills at the u-turn towards the endless downhill. 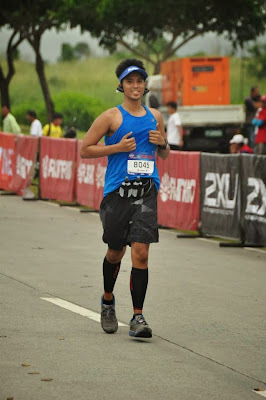 At the endless uphill, I remembered not hitting a wall at the 32nd kilometer and getting worried that my friends were getting bored at the finish line. At the 15th kilometer, I remember seeing the rainbow after I hit my runner's wall. The last 4 or 5 kilometers was a different experience. The route was a series of seemingly endless right and left turns. It was at this time that I lost hope of getting a sub-2:30 time and just wanted to finish as soon as possible. The maze made us go round and round that I didn't believe it when the turn would lead to the last few meters. getting ready for my moment na wala naman pala. Update: Anduon pala si Mang Ernie so di nasayang ang effort ko... Thanks to Noel for tagging! I finished at 2:39 according to my garmin the slowest of all the 3 legs. 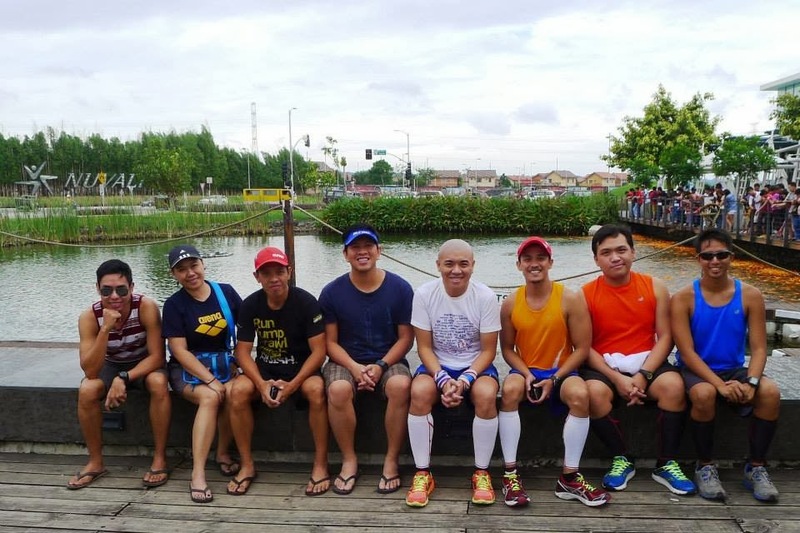 I attribute this to lack of conditioning for the rolling hills of Nuvali. We finished the program just like we did in leg 2. 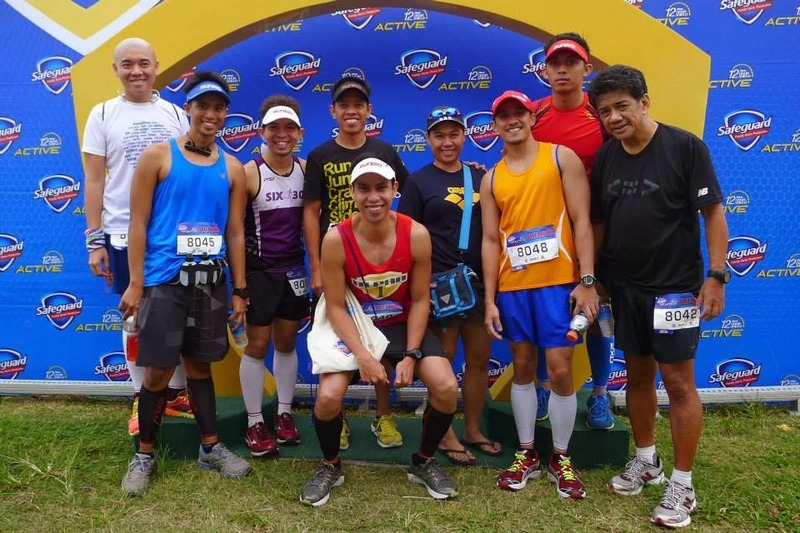 They awarded the Kenyans and the Filipinos who won the open and the Filipino categories. They also awarded the fastest man and woman for each age category. We also witnessed the lucky runners who took home Timex watches and luxury trips to Malaysia. Sole Racing Leg 3 was a great race just like the other legs. It was a green run so we had to bring our hydration bottles. All through the course, the hydration was a choice of Gatorade and water. And they were abundant and cold. The marshals were present in the confusing part of the race route. The RunRio 2XU freebies were great. They had us choose colors for our new calf guard, new visor and new cap. In addition, there are slippers and a water bottle. I will definitely use these items in another race. 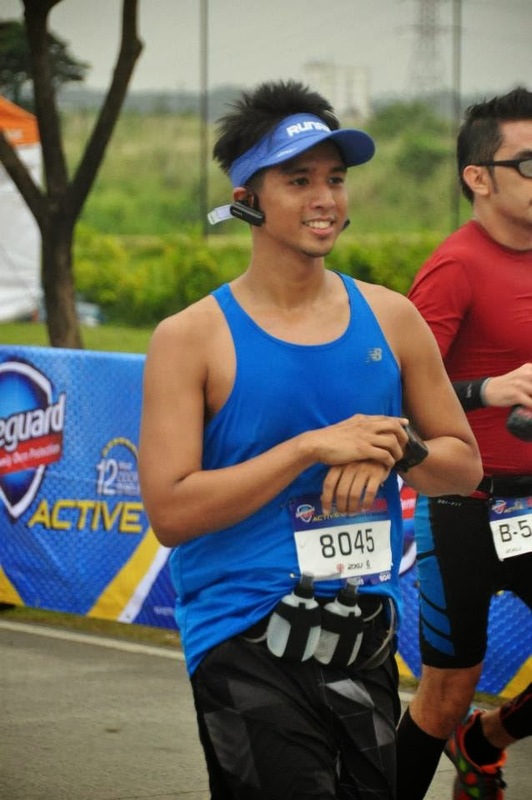 Thanks to Run Rio, Safeguard and 2XU for making this run a great event!